Dorking is famed for its antique shops but it’s practical too with a choice of supermarkets and plenty of familiar high street favourites for every day needs. For culture and leisure the town is home to Dorking Halls, a theatre and cinema complex, and Dorking Sports Centre, both of which are located on the High Street. 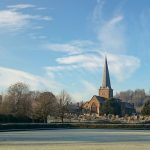 Dorking is blessed with beautiful, rolling countryside around it, much of which is designated Area of Outstanding Natural Beauty. There are lots of pretty villages tucked away in the hills such as Abinger, Holmbury St Mary and Shere. Dorking’s schools have an excellent reputation with North Downs Primary School and Surrey Hills CofE Primary serving the villages, while St Paul’s CofE Primary School and St Joseph’s RC Primary School can be found in the town. At secondary level, Priory School and Ashcombe School are the popular state options. Near by, Cranmore, Belmont Prep School and St Teresa’s School at Effingham are amongst the independent options.